As the London 2012 Closing Ceremony is finishing off I am reminded that I don’t get up early for any other sporting event. In fact most of the people I mix with either don’t talk about any sport or they only talk about football, except during the Olympic. Over the weekend I had conversations with people about almost every Olympic sport, yes even rhythmic gymnastics and nobody talks about that ever. So why is it that every four years we become sports fans and then crawl back into normal life for another four years? 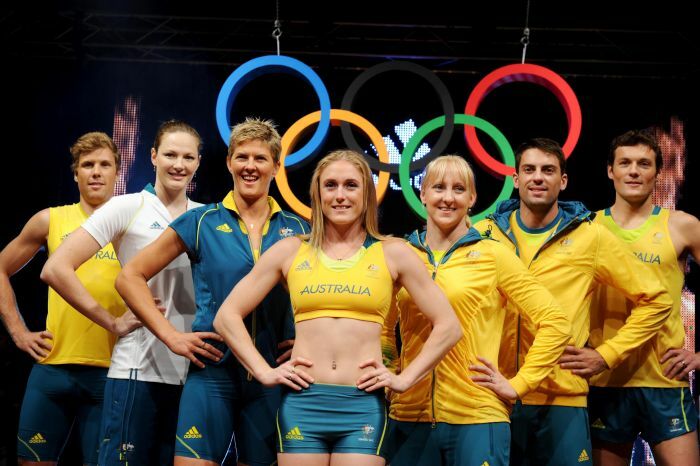 Nobody will be getting up early to watch Sally Pearson in three weeks time to run at her next athletics meet. We celebrate success – lets face it, we love people who are successful. In Australia we like to cut the tall poppies down to size but deep down we celebrate that they were successful to begin with. Perhaps it is our own desire for success that leads us to celebrate the success of others. We love to cheer on someone who has trained so hard as they put in that last effort to try for Gold. It seems that we love that someone who we don’t know, but is from our country, has been successful. We see the Olympics as pure – we love that the Olympians take an oath, we love that the athletes are encouraged to try their best, we know that sponsorship is removed from clothing and the officials do their best to eliminate drugs in the sport. Whilst the games are not pure, we like to think they are. The athletes take the same oath if they are million dollar professional or sacrificing everything just to compete. This year several athletes got huge applause for giving it a go as they were from countries with only a few athletes and very little chance of making the finals. Deep down we love the idea that the Olympics is seen to be sport stripped downed to its essence. We like the bigger story – we love that the Olympics is part of a bigger story that has happened over the decades. The athletes in London 2012 took the same oath that athletes took after each World War. The Olympics has been in boom times and in times of depression, the Games must go on. Yet it is not just about the events because sport goes on every year. It might be that there are people from 208 countries represented even if the government don’t see eye to eye on every issue. It is the fact that we learn about the Olympics at school then past it onto our children and maybe inspire them to do something great with their life. The Olympics becomes more than sport, it reminds us of the bigger global picture. In some way the Olympics is more than just a sporting event. The Stadium that was packed with spectators to watch the 10 heats of some athletics event this week will be empty next week. It seems we can focus our attention at this time but we can’t live like that for ever. We celebrate the high points because we don’t have to always live at that level. They don’t like sport – not everyone likes sport, some people can’t even fake that they are an expert sports commentator for 16 days. They have other things to do – sometimes life is busy and we are just too busy to notice, good on those people who are working hard. They are reminded of their own lost dreams – it is sad to hear when people avoid the Olympics because it reminds them they haven’t achieved their dreams. It isn’t always about sport either, some people just realise their life hasn’t turned out how they hoped. It is saddest because they can’t celebrate the success of others. That is my thoughts as the Olympics wraps up. Whilst I may have appeared to be an expert on swimming, sailing, cycling or athletics for the past 16 days, I will return to being the novice I really am. I won’t watch Sally in three weeks and I won’t care about diving, gymnastics, sailing or badminton any longer. But I will take an interest in the success of others because if the Olympics has taught me anything it is that we must celebrate the success of others and not always focus on ourselves. If you are wondering why this topic might appear on the Mark of Faith blog about faith, ministry and leaders look at the three reasons mentioned above. We like our church to be successful, we like to see our theology as pure and we are part of God’s bigger story.